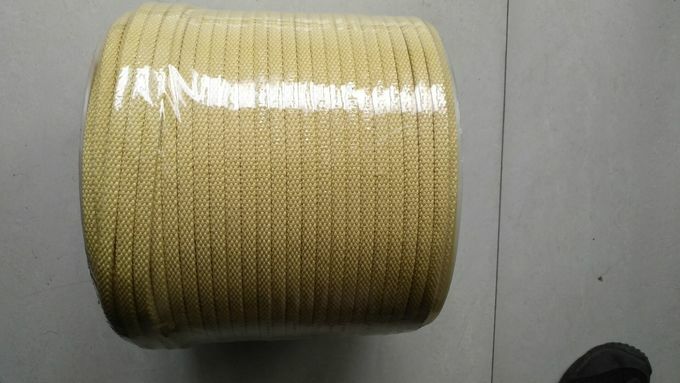 Kevlar Aramid high temperature roller rope is made of aramid 1414 twisted, aramid fiber has high temperature resistance, fire retardant and high pressure resistance. 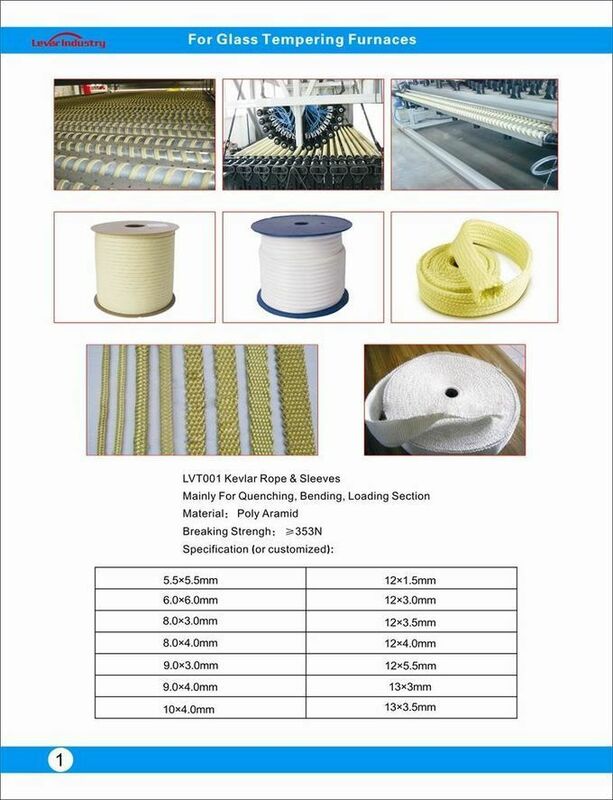 Wear resistance, heat resistance, chemical resistance, good mechanical properties, etc. Uses: is mainly used for: glass tempering furnace roller conveyor. tempering furnace roller winding. Kiln furnace industrial furnace insulation, etc. The product has a density of only 1.36g/cm3 and is lightweight and easy to transport and replace. The product has a low elongation of only 3.6% and is not easily deformed during long-term use. When the product is exposed to hot objects, the product will not be deformed due to sudden high temperature, which will affect normal use. The product is made of Kevlar fiber and has high strength, wear resistance and high temperature resistance. 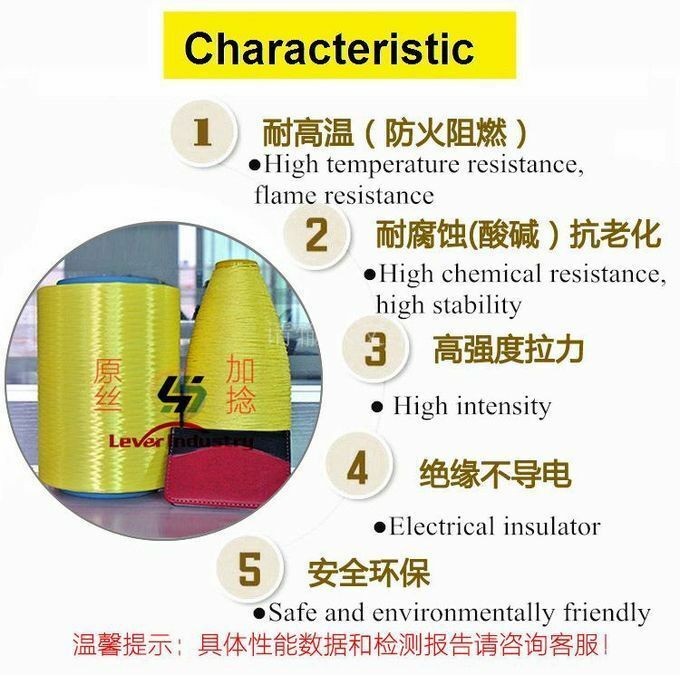 The product has high temperature resistance, long-term high temperature resistance up to 330 ° C, short-term high temperature resistance is up to 600 ° C Degree, fire retardant does not support combustion. The product is chemically stable. When it is attacked by strong acid and alkali materials, it will not produce large performance changes. It is used normally in harsh environments, so it has a long service life and does not need to be replaced frequently. The product is non-conductive and electrically insulated, making the product safer during use and isolating the risk of electric shock.